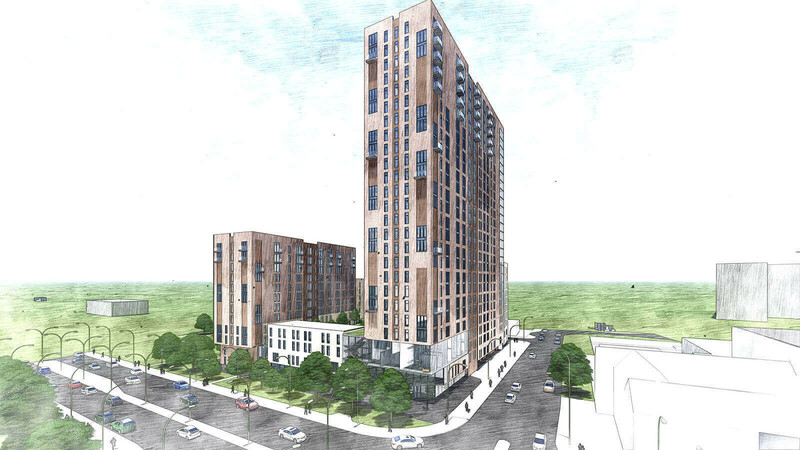 More detail has been released today on an apartment block scheme of more than 500 flats and houses slated for Salford. Planning for ‘City View’ has been submitted to Salford City Council by architectural firm Fletcher Rae. 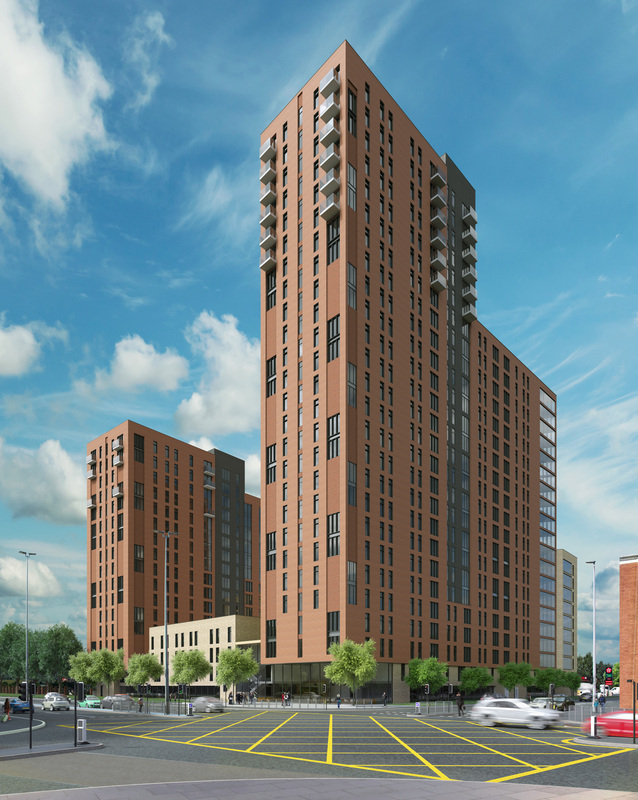 It shows plans for four tower blocks ranging from eight to 26 storeys on a corner plot at the junction of Oldfield Road and the A57 Regent Road, a busy commuter route linking Salford and Manchester. The scheme is projected to cost upwards of £150 million. 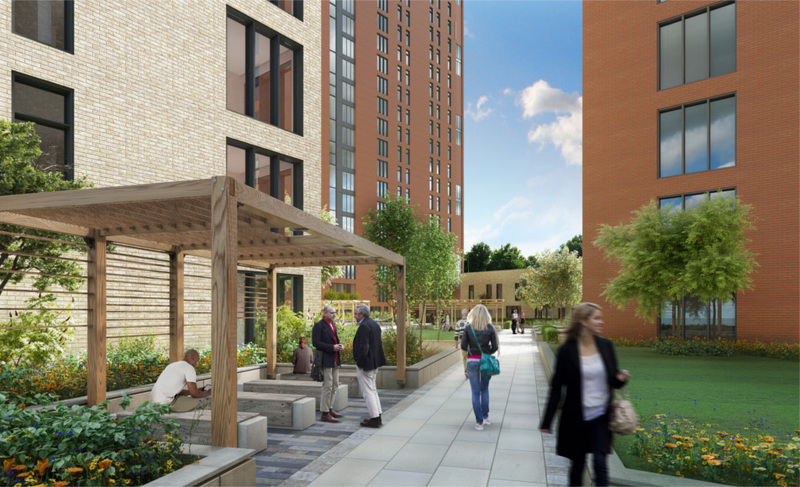 In the plans are 488 apartments and 37 three-bed townhouses across the huge 600,000sq ft site. Also included are 150 car parking spaces, 200 cycle spaces, a private above-ground ‘sky garden’, and a gym, coffee shop and concierge on the ground floor. 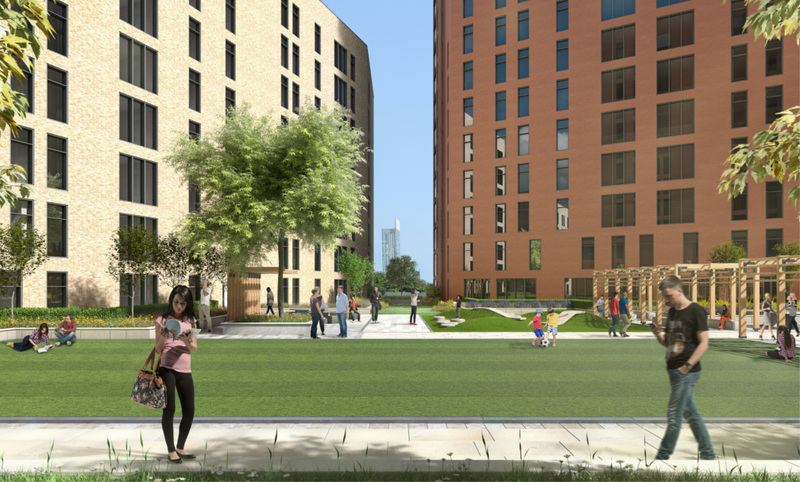 Fletcher Rae’s Joint Managing Director, Andrew Rae, says the residential community “will act as a gateway into Salford” and “repair broken links between [Manchester and Salford]”. 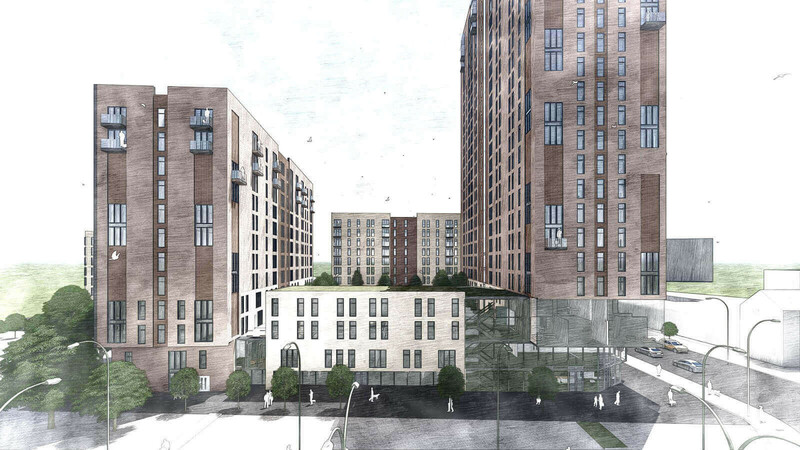 He said: “The form of the building responds directly to the vision of the site to create a viable and sustainable regeneration development in a strategic location on Regent Road. Rae added: “The development will link to existing community infrastructure and adjacent developments. 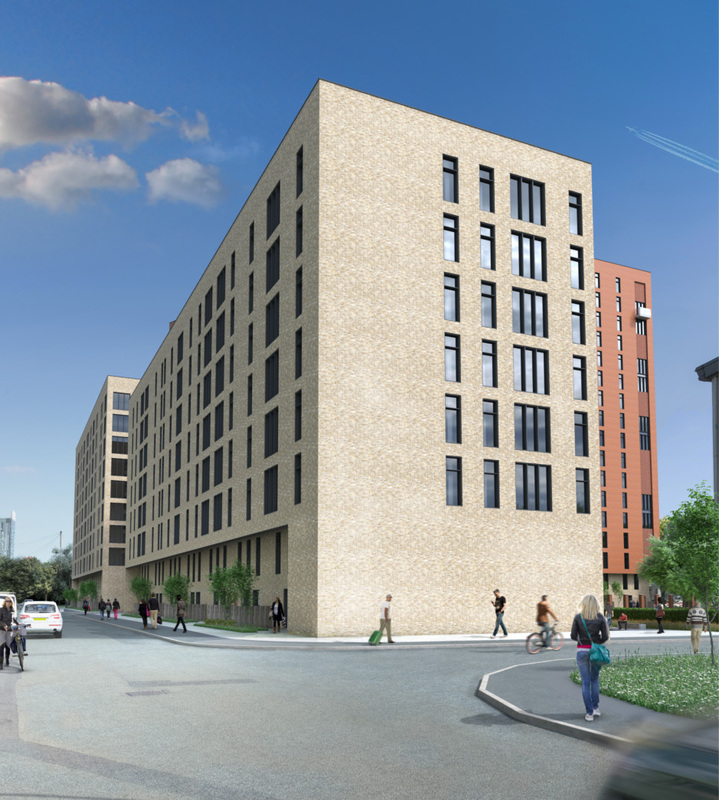 Fletcher Rae expects the City View Salford planning application to be approved by November 2016 and for work to commence in spring 2018.